Here’s a written summary of my more than you ever wanted to know answer with some visuals. What you ask is also moving target. Autodesk is always loading up on cool clicks and hot tricks to stuff into Civil 3D. Not even the Civil 3D dev team controls that. The recent AutoCAD 2018.1 Update rocks with significant productivity improvements to some old, core AutoCAD stuff. The new tools only benefit us if we take the time and practice to learn new ways to employ them. Do to that we all have to partially unlearn what we know. To bat .333, deliver RBIs, and become an All Star in the Bigs you must adjust your swing habitually. That feels good when it works and bad and ugly when is doesn’t. If you avoid the pain of continuous readjustment, you bat .250 and probably more like .200 or less. All of us tend to suffer from the big fish in little pond delusion. Yours truly included. The Civil 3D diva is a big creature with more of everything coming at us all the time. Everyone learns painfully (or sometimes not at all) that planning and a managed workflow is mission critical to better Civil 3D project execution. The problem often isn’t how to do this or that with a specific tool, but how to manage the practical tactics of task workflows appropriately for the data behind. It seems to me the most neglected Civil 3D Features are directly related to those most powerful and competitive advantage Civil 3D tools. These require more project planning, workflow discipline, and often better team and related Civil 3D Feature data behind execution. However, the tools usage questions might miss the big picture point. I call the Intersection the Control Manager of the Civil 3D Design Control Managers – aka Alignments. I don’t mention in the video that we could be also changing one or more related parcel maps in other drawings without even editing them. See the post Civil 3D Survey Alignments and Parcels. That depth of Workflow Magic both befuddles and scares people. Can’t say that I blame them. The complex interflow and managed workflow between Intersections, Alignments, and multiple Baseline Corridors separates the good from the bad and the ugly. The bad and ugly is easy in Civil 3D. If you don’t own the Style and Set tools and only watch demo videos, honestly, you probably never even discover that this kind of power exists. More about the practical magic in the Intersection Wizard. 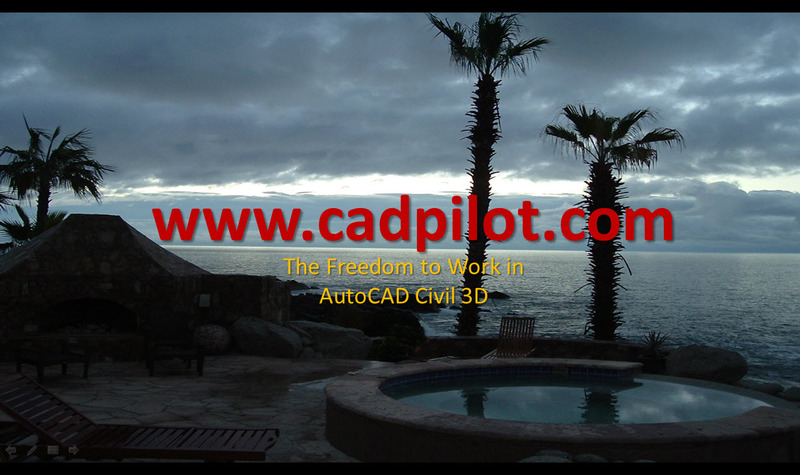 Most folk consider Survey the red-haired stepchild in AutoCAD Civil 3D. It’s unruly and not what they’d expect. They’d sooner ignore it than deal with it. God forbid, there could be more than one of them in their future – Survey Dbs I mean. For some the entire idea is deplorable. For fun let’s put that in a historical and metaphorical perspective. This view is like how the British thought about the rebellious American colonists in July 1776. How did that work out for the British Army and Navy? A mere 21 days at Yorktown in late Sept and Oct in 1781 said very bad and ugly. In a word – humiliating. Oops! There’s a more recent form of the parable that ties in nicely. Let’s just remember that the Commander-and-Chief of the British forces in North America on the day the British surrendered was named…wait for it…Clinton. Clinton did not show up when it actually mattered. Intelligent Publish on Demand Alignment Based Point Groups methods might change more than a few things about how you might begin a new workflow to better attack design project publication in AutoCAD Civil 3D.